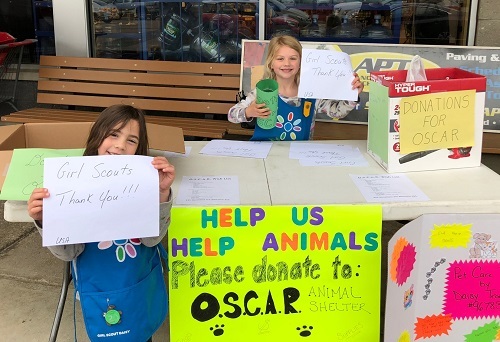 We realize how important it is for kids to learn how to help animals and that there are animals in need in their community. We have different ways to help, all of which benefit the rescue. Kids learn the value of setting goals and feeling like they are making a difference. Candy Sale Kids can sell candy to help raise funds for the rescue. Similar to schools, we purchase it for .50 and sell it for $1 a bar. Car Wash Kids can wash cars to raise funds for the rescue. Nice weather is perfect for this. Bake Sale Kids can sell baked goods within their community or at a store front. This helps the rescue raise funds for vet care. Supply Drive Kids can collect supplies within their community or at a store front. We have a long list of supplies we use every day and are always in need of. Can Shake Kids can collect change in a jar or do a change collection to help us raise funds for vet care. 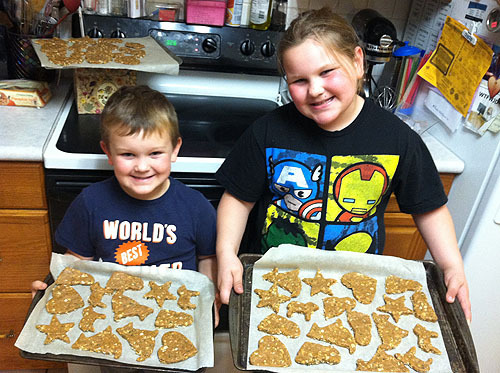 Make Dog Treats The dogs like something special and a yummy treat hits the spot. There are many easy recipes online and the dogs are happy to gobble them down. 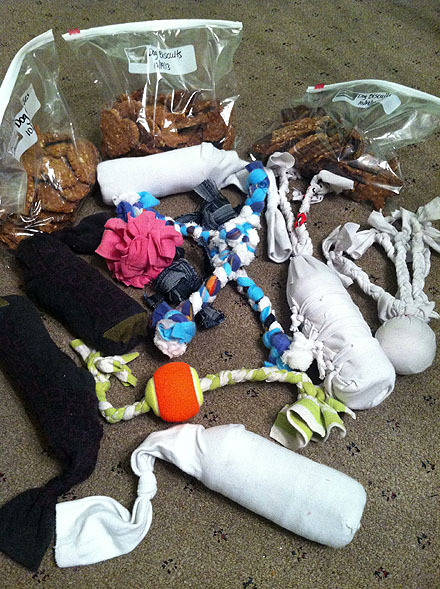 Make Dog Toys The dogs need toys, they are easy to make and the dogs enjoy them for months. Sponsor a Rescue Dog! Cost $25 a month to pay for food, supplies, and preventative. Donations Holding a birthday party and asking for guests to bring supply donations. Dog Tags Making dog tags with OSCAR info on them for foster dogs. After the child or group has reached its goal we want them to feel special for a job well done. We list them on our website recognizing their achievement. Please see all of the 'OSCAR Kids' on this page. If you have any questions feel free to call us at 973-262-2344. We look forward to having more youngsters join our animal rescue team! KIDS - Here is a great way that you can help O.S.C.A.R.! Collect change, then give us a call. We'll arrange for you to come down and have a personal tour of our new shelter. You'll get to see the dogs and cats you are helping. 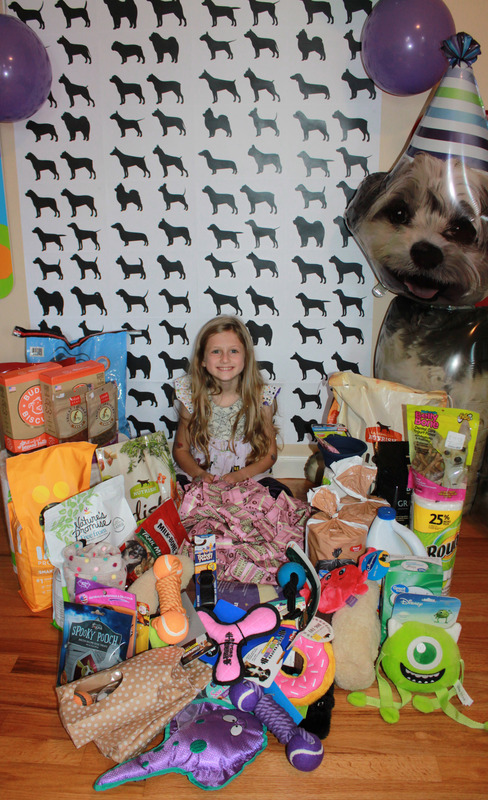 Riley asked for 'pet items' for her birthday and brought them to the dogs at OSCAR. 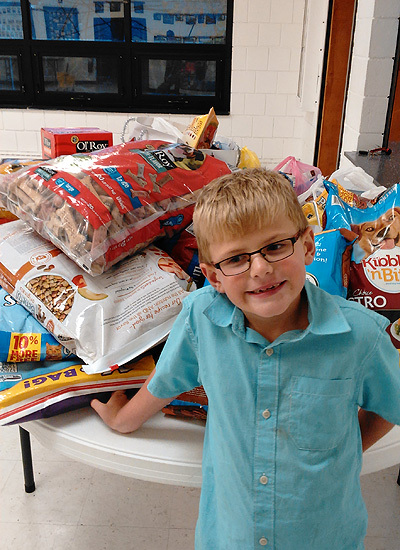 Thank, Riley, for the wonderful donations! Riley says, "So nice to meet you 'Lexi'. Thank you OSCAR for letting us meet such a sweet pup!!" 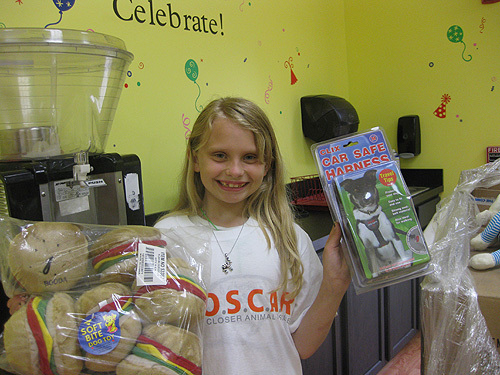 This is Lucy from Girl Scout Troop 6565 delivering homemade dog treats as part of her service project. 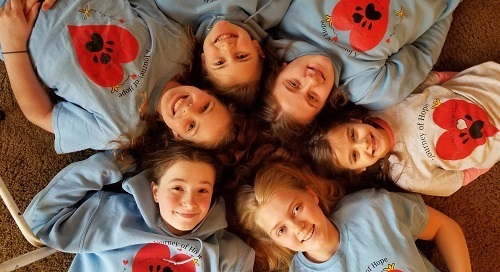 Many thanks, Lucy & Troop 6565. The dogs loved the treats you made for them! A Big Thank You to the Warm Hearts Warm Lives 4H Club! We are happy to include you on our web site! "Hi. 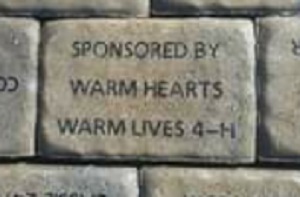 My club, Warm Hearts Warm Lives 4H, donated $100 to your shelter back in October 2018 for the purchase purchasing of a paver brick for your walkway. Our club also donated baskets to your last Tricky Tray. You folks were kind enough to acknowledge this on your Facebook page-thank you. I was wondering if you could also add the heart children to your website." Many Thanks to Gaby & Samantha, Silver Scouts! Hi OSCAR, Thank you so much for having us, and giving us a tour of O.S.C.A.R. . Attached, is a picture of us with the donations. 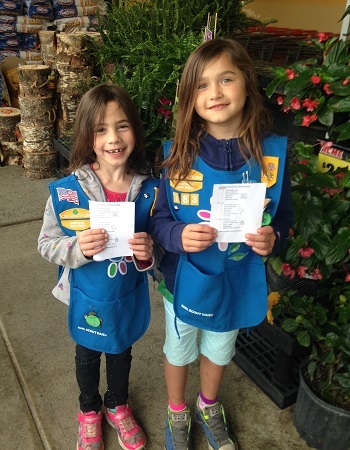 Huge Thank You to Daisy Troop #96783! 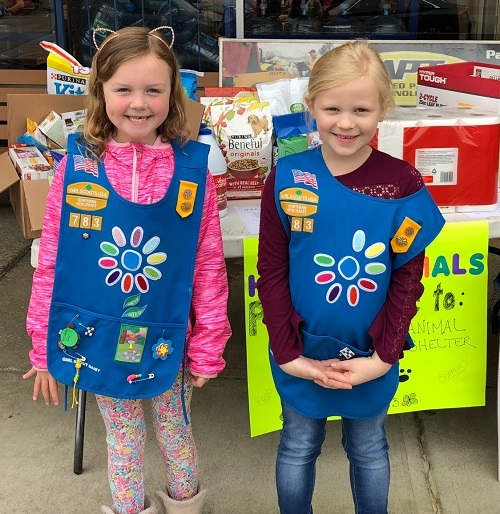 On Sunday May 6, 2018, Daisy Troop #96783 collected donations outside of the Vernon Acme from 10:00-2:00. 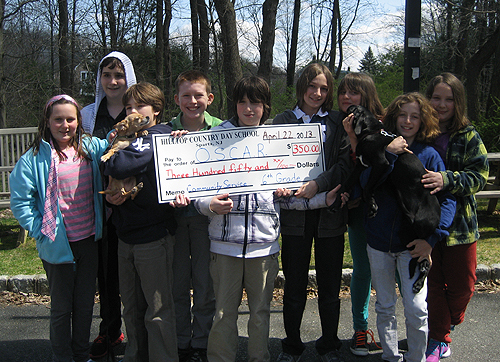 They collected a trunk-full of animal supplies and over $300 in cash donations for O.S.C.A.R. My 8 yr old daughter just had a birthday party this Saturday and asked her friends to bring pet supplies as gifts. I would love to bring her to the facility after school sometime this or next week to drop it all off if that's ok? 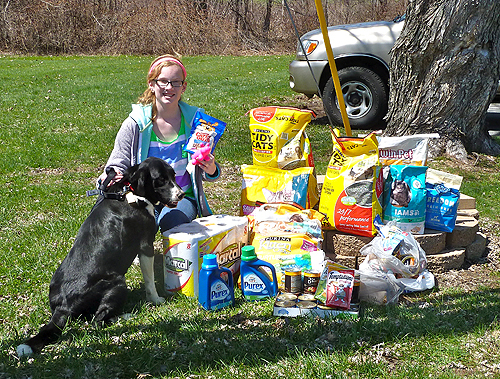 She collected bags of dog and cat food, some cleaning supplies, bones, toys and collars. Also, our Brownie Girl Scout troop made dog chew toys out of t-shirts last week. 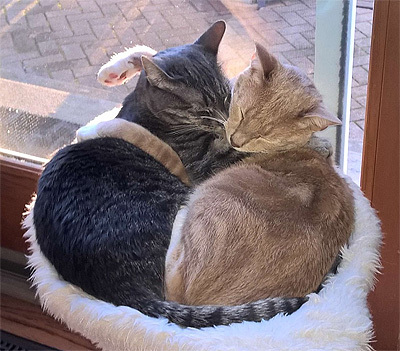 We'd like to being them along, too. A big THANK YOU to Peri and her family, friends, and Brownie Troop! Peri and her family stopped by the OSCAR Shelter last week to deliver the toys and supplies. Peri had the opportunity to visit with one of the OSCAR puppies. I am throwing a birthday party for my son at the end of January and we just moved to the area. My son, who will be 3, is a lover of all animals and has been since the start. We have a family black lab, Swisher, who is the best. He would like to ask for donations for your shelter instead of presents so I would really like to know what you guys are looking for. I'm going to ask for monetary donations too but I think people will more likely bring actual items that are needed. Thank you so much and I look forward to hearing from you. Thank you for the suggestions. We had Michael's party yesterday and got some things we would love to deliver to you guys whenever is convenient. I'm attaching a picture of my son with all the stuff we received. We are also going to add gloves, cleaning supplies and pill pockets. Many thanks to Michael and his family & friends. "Penelope asked for supplies for OSCAR for her birthday instead of presents." Happy Birthday, Penelope. Thank you so much for your generosity! The OSCAR dogs and cats thank you, too! Happy 13th Birthday, Paige. Thank you again for your donations! 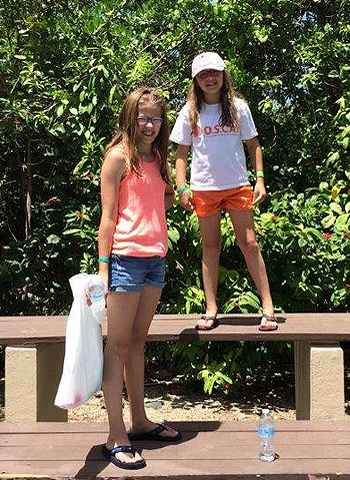 From Paige's parents, "For Paige's 13th birthday, she once again collected donations for O.S.C.A.R. This is the 5th year that she has done so, and we are proud of her commitment and dedication to a cause that means so much to her. Pictured below are Paige with Sawyer (formerly Rayland) and Paige with Denver (formerly Blair) - two out of three of our O.S.C.A.R. rescues." 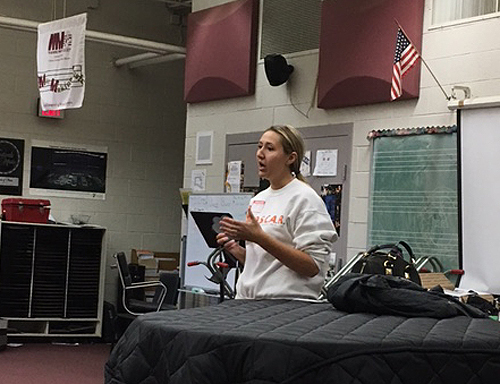 In April 2017, Cassie was invited to visit The Learning Experience in Hackettstown. She gave to 7 classes - children of all ages. The students had collected supplies for the rescue and were so excited to learn about animal rescue. hHey especially enjoyed meeting puppy, Brady! A big THANK YOU to Ellie and Megan! We were in about a month or so ago to pick up some brochures to hand out at my daughter's TREPS market along with dog and "human" treats that they sold. We had the marketplace event last night and the girls did very well. We would like to come to drop off the check and the remaining dog treats that they didn't sell. Their names are Ellie and Megan. You will see the pictures from the event below. It was a great event and experience for the kids! I am a 5th grade student at Helen Morgan School in Sparta. Three years ago I got my cats, Hale & Ally (formerly Carson & Cassandra), thru a foster from your organization. Picture below. 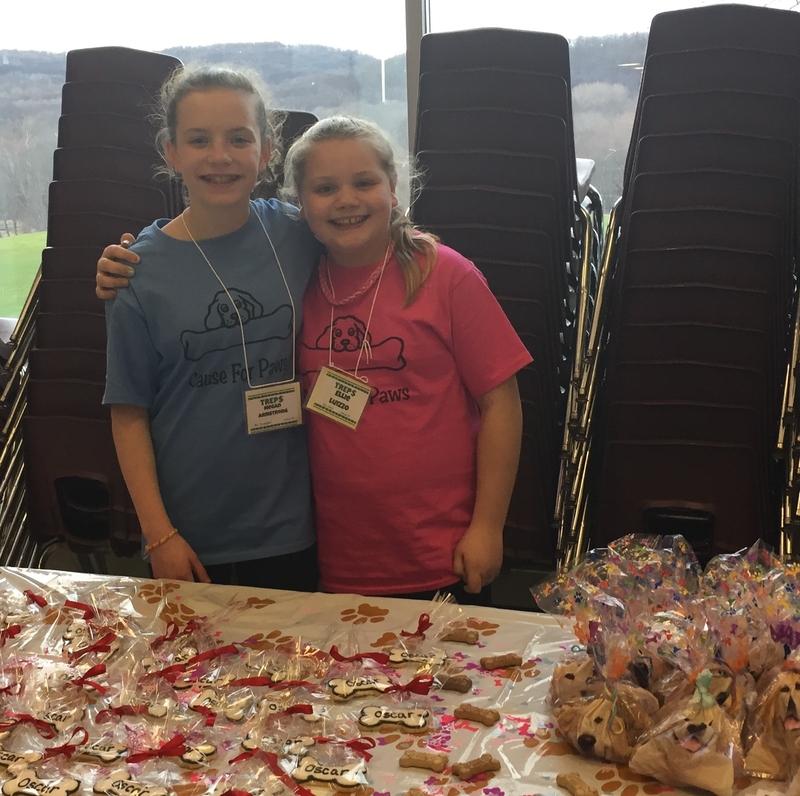 My classmate, Charlotte, and I have a table at April's Treps Marketplace for our "Pawesome Cat & Dog Treats". 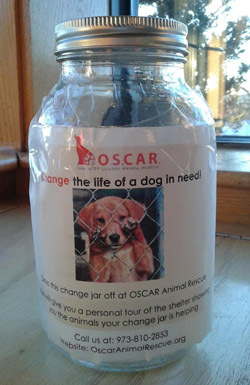 We would like your permission to put a jar out for O.S.C.A.R. donations in the hopes that people will donate their change to you. I will also donate any leftover dog treats and toys that I do not sell that night to your organization. Please let me know if the donation jar is OK with you or if there is anything I need to make sure to include on the jar. Thank you, Ben. We appreciate your generosity!!! We will contact you with the details for the donation jar. Good luck with TREPS! We hope that you and Charlotte will share a few TREPS photos." Cassie of OSCAR gave a talk to the Pope John Middle School students in Sparta. 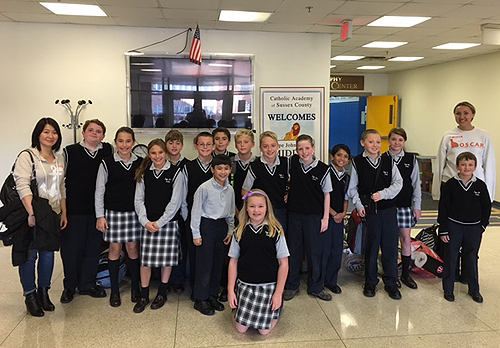 They collected supplies for O.S.C.A.R. Many thanks to this wonderful group of kids! 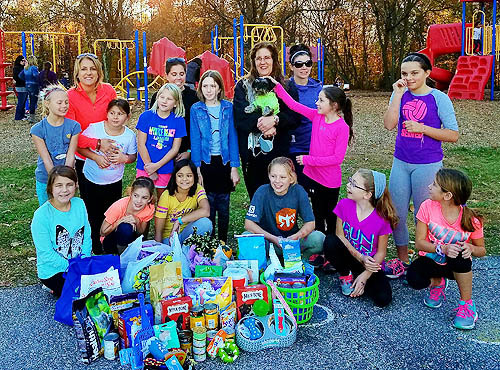 A big thank-you to Girls on the Run in Sparta for the wonderful supply collection you did for O.S.C.A.R.! All of us and the dogs and cats really appreciate what you've done to help us. A HUGE HAPPY BIRTHDAY AND THANK YOU TO AIDEN. YOU ARE A GENEROUS YOUNG MAN! We got an email the other day from proud grandparents. 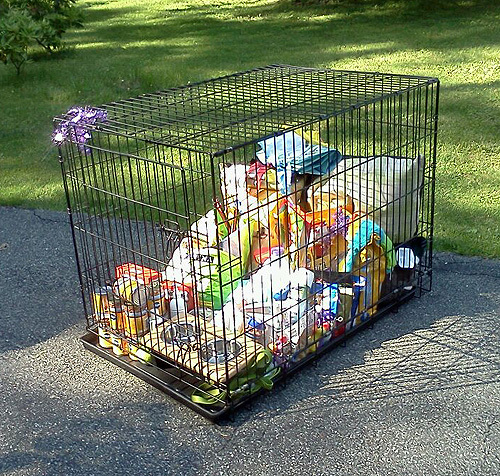 They wanted us to know that their grandson, Aiden, was having a birthday party and he had asked his guests in lieu of birthday presents to bring some sort of dog or cat food toys etcetera. His party was a big success and now we have all the supplies that my grandson wishes to donate. 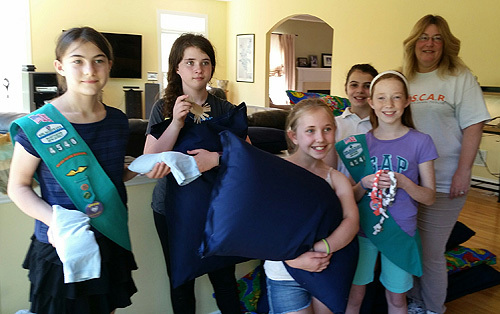 A big thank-you to Hanover Township Girl Scout Troop 309. 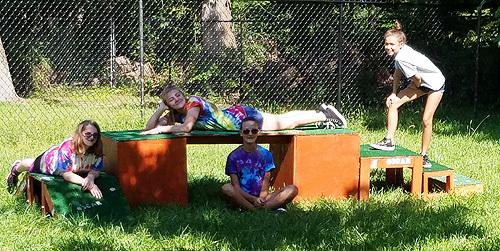 Thanks to their hard work, both play yards at the shelter now have agility courses and we also have a strong and sturdy bin for donations. Thank you, ladies. Great job. We truly appreciate all you've done to help us. We couldn't do it without you. O.S.C.A.R. MANY thanks again to our good friend, Paige! This is the FOURTH YEAR that Paige has made this generous donation. 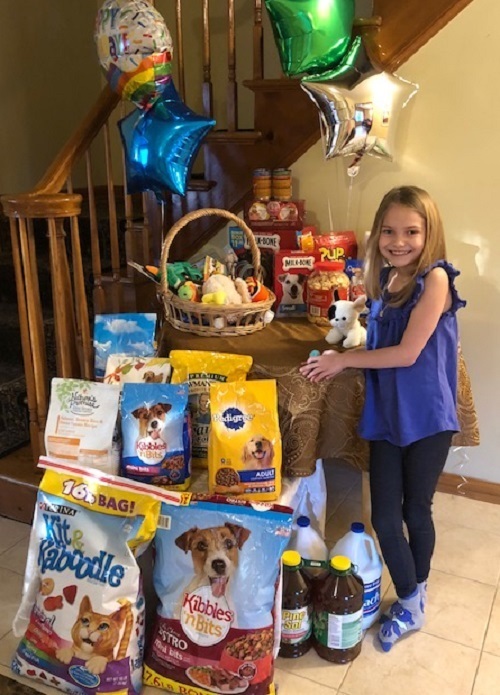 "For Paige's 12th birthday, she asked our family to bring donations once again for her favorite organization, One Step Closer Animal Rescue. This is the 4th year that she has asked, on her own, for these donations. 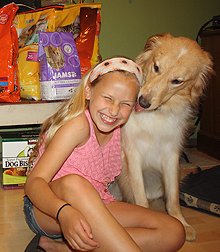 As her parents, we are proud of her commitment to animal rescue, support, and education. Her genuine love for animals goes beyond taking care of and loving her own pets; she volunteers her time helping OSCAR, and she values the life of every living creature she comes across. Paige is pictured with two out of three of our own OSCAR rescues: Sawyer (formerly Rayland) and Denver (formerly Blair). Willow (formerly Happy) was being camera shy!" 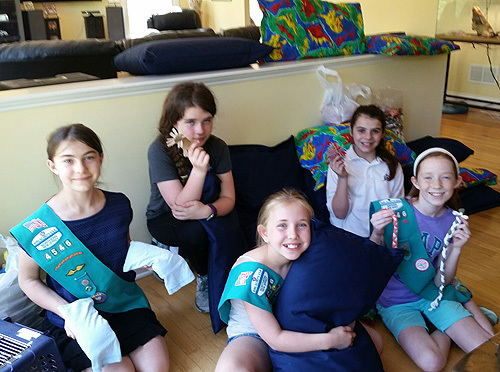 We'd like to thank Intervale School Troop 6175 in Parsipanny NJ for donating supplies and a gift card! We truly appreciate it. 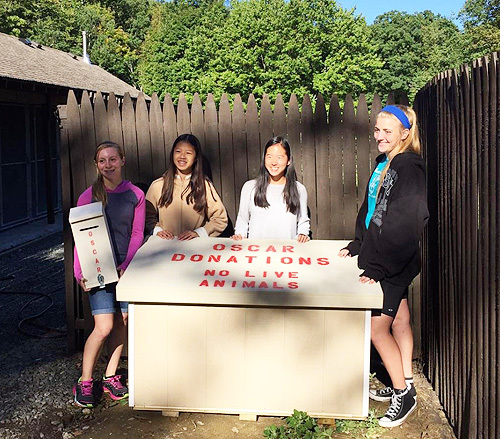 Thank you, girls, for helping the animals. 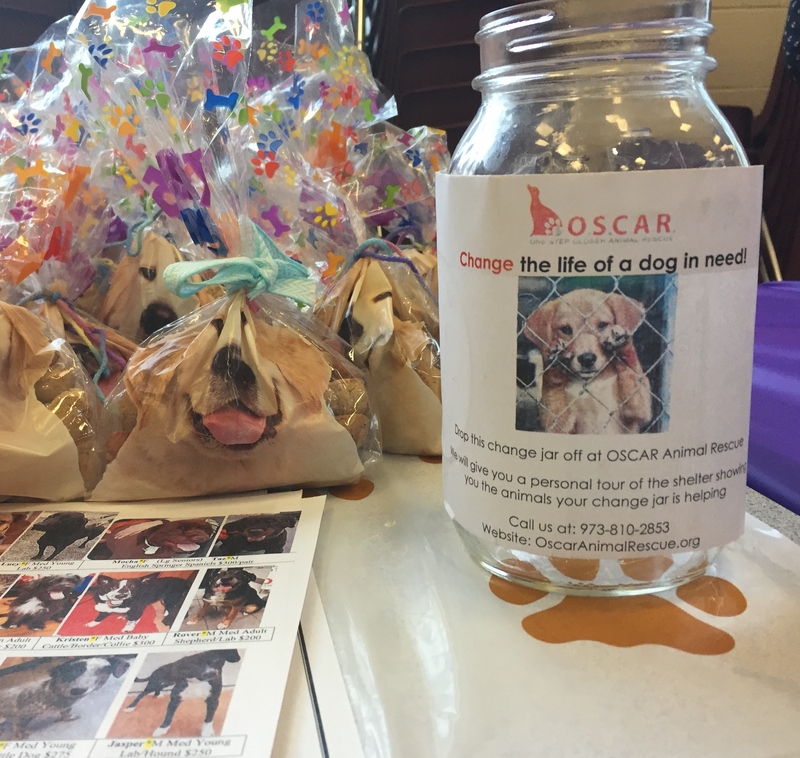 We couldn't do what we do here at OSCAR without help from animal lovers like you! O.S.C.A.R. 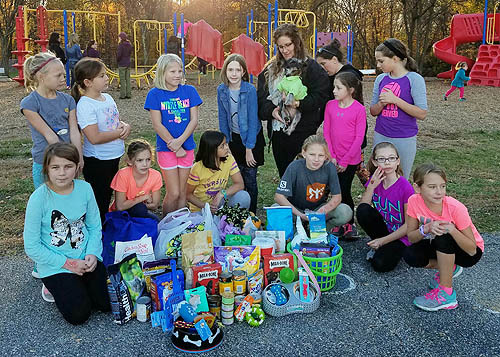 Thank you to our Girl Scout Friends at Troop 4546 for giving us supplies for the shelter animals. 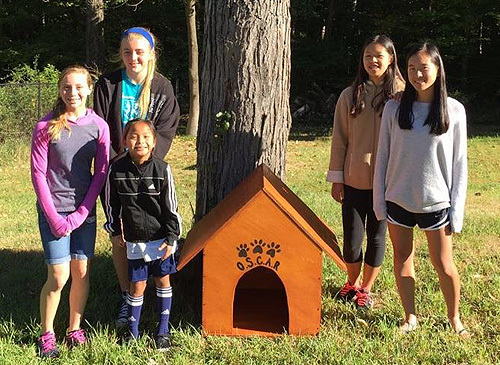 We love the great items you made for OSCAR dogs & cats. We really appreciate that you are volunteering and being part of OSCAR events. I just met with Girl Scouts and picked up the items they made. 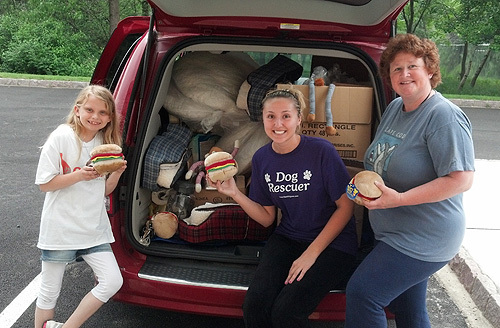 They donated dog or cat beds, cat and dog toys and heating pads they made. They also donated a small cat kennel. Some of the girls have been volunteering at events for OSCAR already. One filled and tied balloons at the 5K and ran in the 5K, one has been volunteering at adoption events. Really great bunch of girls!" Thank you to our friends, Hunter and Hayden, for the wonderful donations! "Here is a picture of Hunter and his brother, Hayden. 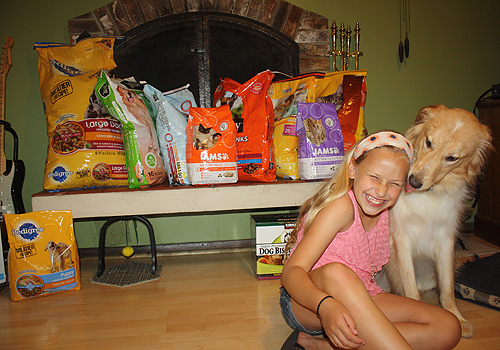 We hope lots of furry friends enjoy the goodies!" 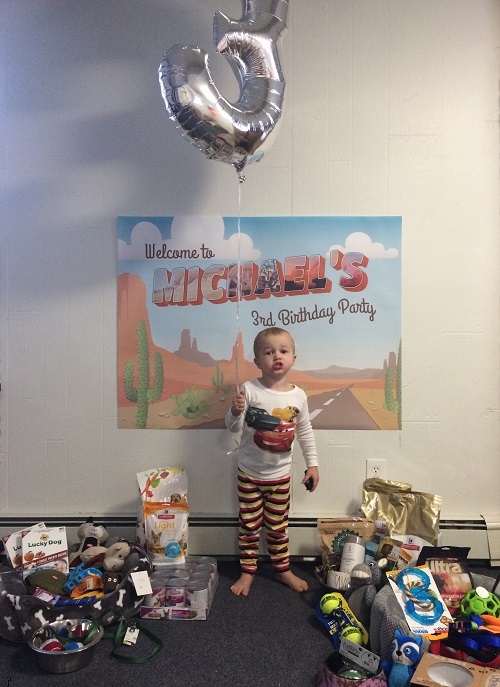 JANUARY 2016 - Sparta - Donating Dog Treats! "Mrs. Tirpack's 8th grade math students completed a service learning project to incorporate math concepts and a community service activity. Students worked on many math concepts which included unit rate, better buy, increasing a recipe and creating the recipes. While learning about these important concepts, students also were able to assist their community and learned the importance of helping others. 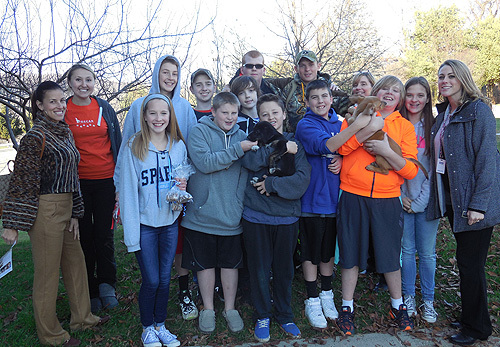 The students really enjoyed meeting the puppies and donating to a great animal shelter!" 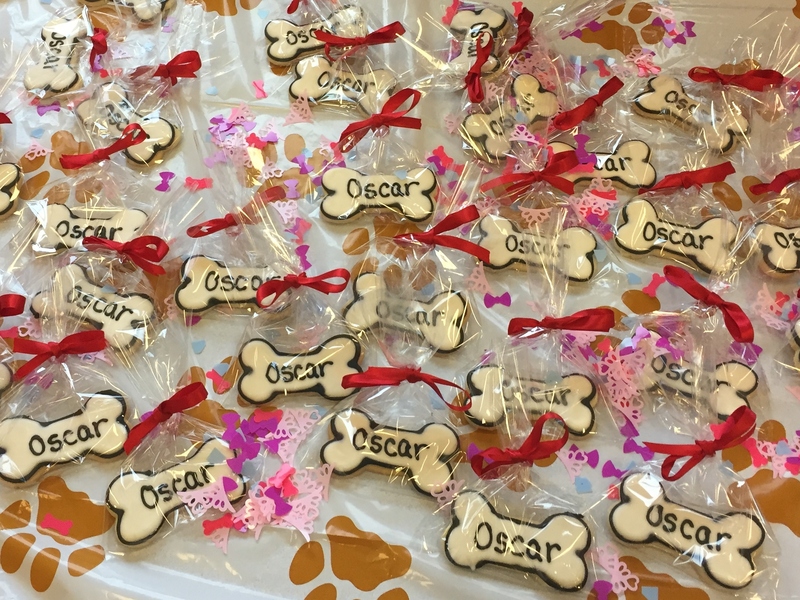 The awesome SPARTA Heart and Sole team from Sparta Middle School made treats and toys for OSCAR! 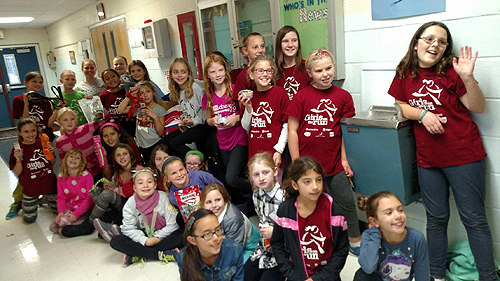 The Girls on the Run Team from Helen Morgan School in Sparta selected OSCAR as their chosen charity this season. They did a supply drive for us at the school. Thank you, girls! You rock! 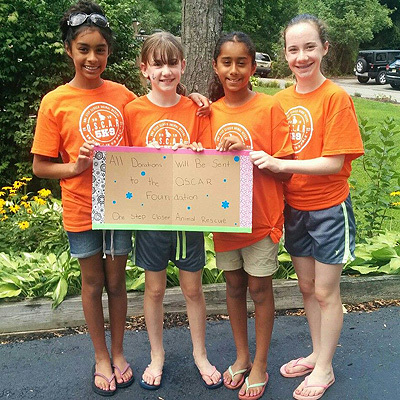 AUGUST 2015 - Lemonade Stands raise money for O.S.C.A.R. 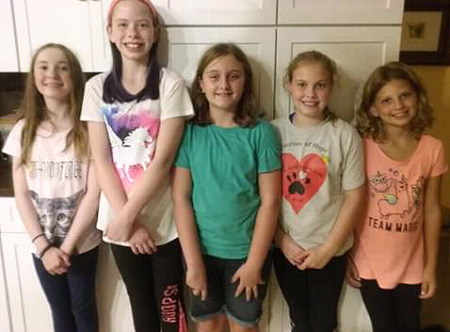 These girls sold lemonade and raised $70 to help O.S.C.A.R. dogs and cats. Thank you, girls! We appreciate your help. JULY 2015 - Happy Birthday and thanks (AGAIN) Paige! Paige's Mom says, "Hi OSCAR! 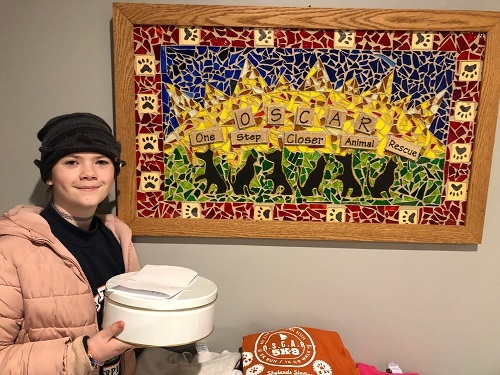 Once again, Paige has asked her family to make donations to OSCAR for her birthday. 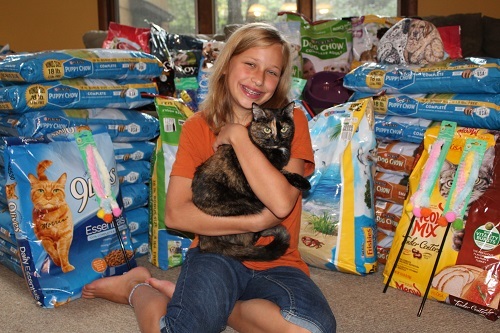 I am attaching a picture of her with the donations and our very own OSCAR rescue, Sawyer (formerly Rayland)." JULY 2014 - Happy Birthday and many thanks, Paige! Here is Paige with OSCAR rescue, Willow (originally Happy). Paige posing with second OSCAR rescue, Sawyer (originally Rayland). 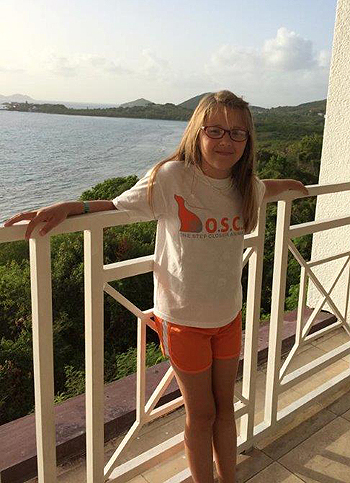 JULY 2014 - Emily, a young OSCAR volunteer & ambassador! APRIL 2014 - Thank you, Kelsey! Kelsey had a birthday party and asked her guests to, rather than bring her birthday presents, bring supplies for O.S.C.A.R. instead! Here's Kelsey, with adoptable O.S.C.A.R. dog Gunner, delivering the supplies to yesterday's adoption event. Thank you, Kelsey! What a wonderful and selfless thing to do. We hope you had a terrific birthday. And a great big hug from all the pups and kitties that will benefit from your act of kindness! O.S.C.A.R. JANUARY 2014 - Thank you, Reilly! Reilly just purchased various puppy items for OSCAR with her birthday monies. She is packing them today and going to ship them this week. OCTOBER 2013 - Thank you, Zack and Gia! 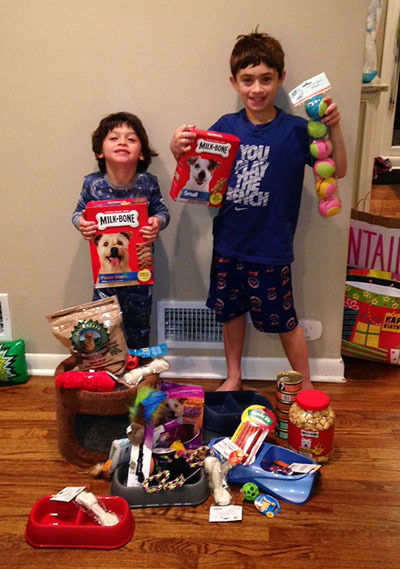 Our friends, Zack (5) and Gia (9) recently donated some wonderful dog treats and toys! They baked the dog treats themselves and made the cool dog toys! 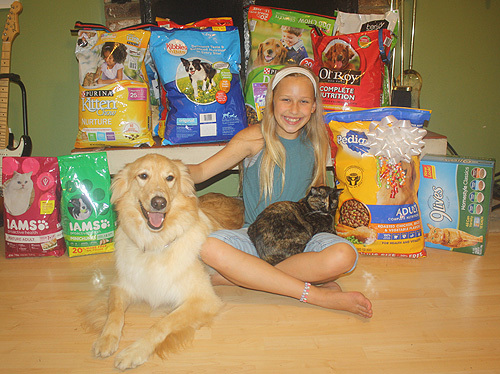 Thank you, Zack and Gia, from the people and pets of O.S.C.A.R.! P.S. We have been told that Chip, the Chocolate Lab, loves the toy with the water bottle in it! AUGUST 2013 - Thank you, again, Zoe! 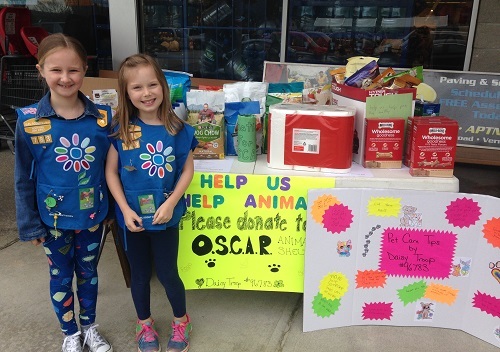 Zoe celebrated her 10th birthday and asked everyone, in place of bringing gifts, to donate supplies to OSCAR instead. This is the second year in a row she�s done this. Thank you, Zoe. We hope you had a wonderful birthday. You're a very special girl! O.S.C.A.R. 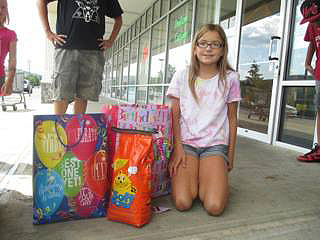 Jadynn Doty birthday had a birthday party and asked her friends to donate the supplies to OSCAR instead of presents. Look at all the wonderful donations! 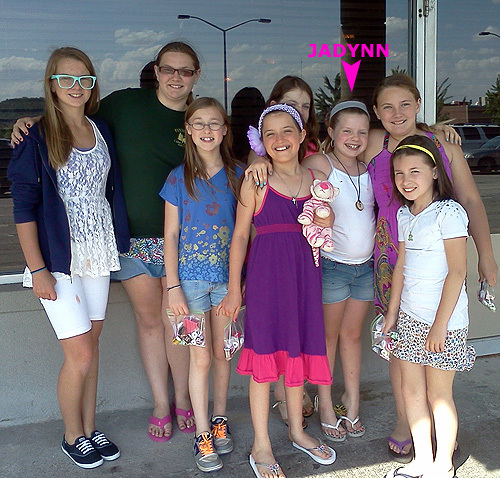 Thank you, Jadynn and friends, for your generosity. You have helped many dogs and cats! APRIL 2013 - Thank you to Hilltop Country Day School in Sparta! We would like to thank the 6th grade class at Hilltop Country Day School in Sparta, NJ for their support. 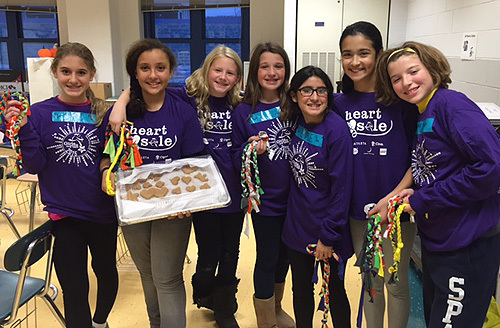 The 6th graders made homemade dog treats for the dogs and also held a bake sale to raise funds for vet care. We are very grateful to them for taking the time to support our rescue. We would also like to thank Hilltop Country Day School for allowing us to visit with dogs and allowing the kids to volunteer for our rescue. 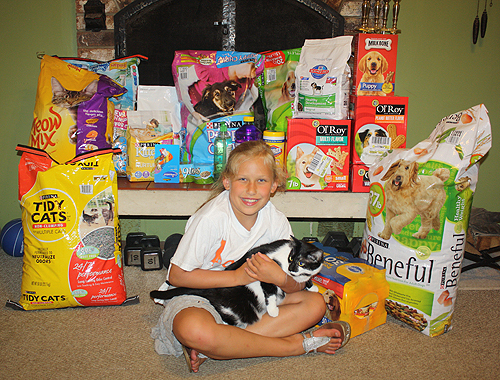 AUGUST 2012: Zoe's Generous Donations! Zoe & her famly adopted their dogs Henry and Vinny (now Trouble) from OSCAR. Zoe is very thankful to have both dogs in her life. 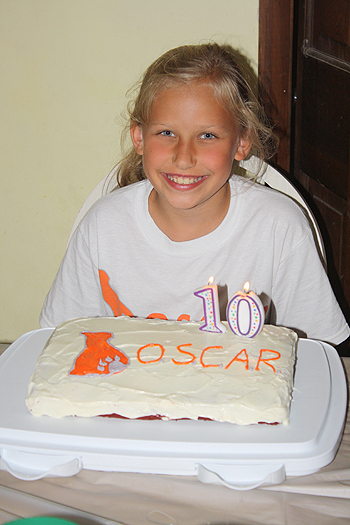 She wanted to thank OSCAR for the work that OSCAR does so she asked for donations instead of gifts for her birthday. 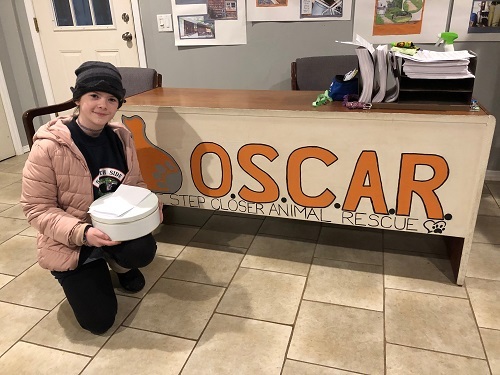 She is going to be visiting with the dogs this weekend and presenting OSCAR with the supplies she collected. JULY 2012: Special Thanks to Fiona! 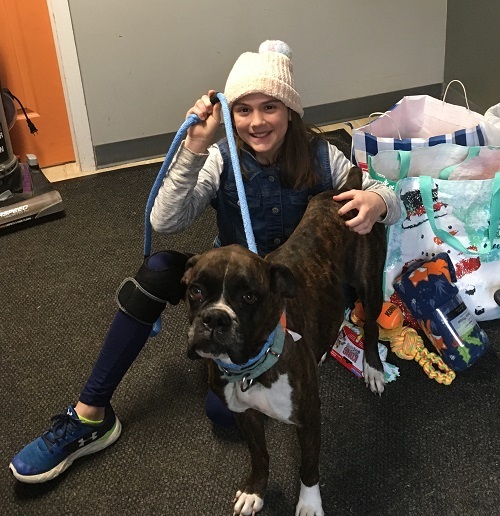 Over a year ago, Fiona Schicho started volunteering for Oscar, first fostering, and later adopted a dog. 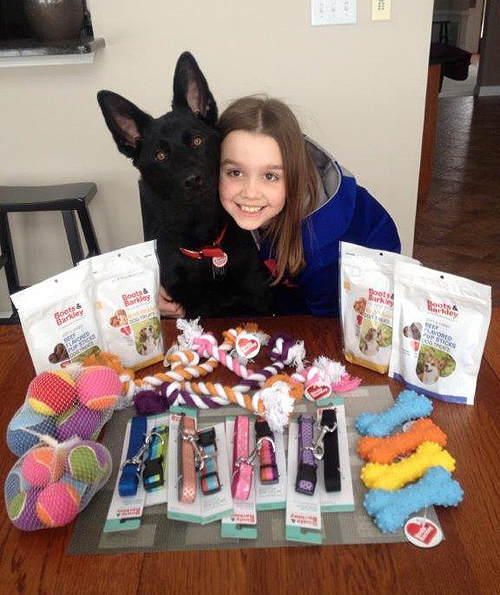 Recently Fiona collected a tremendous amount of supplies for OSCAR. 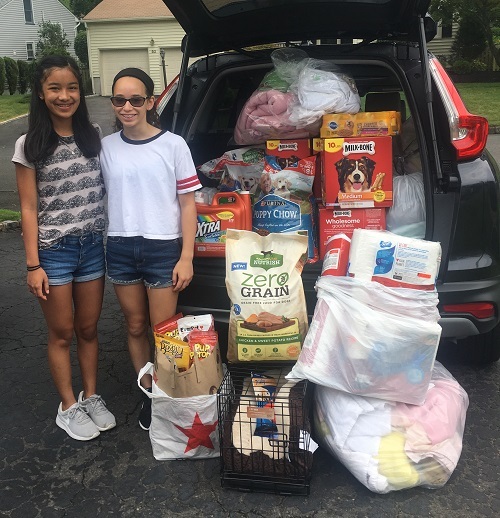 She is working on her Silver Award and not only collected at her school, from neighbors and family, but also did an additional collection drive. 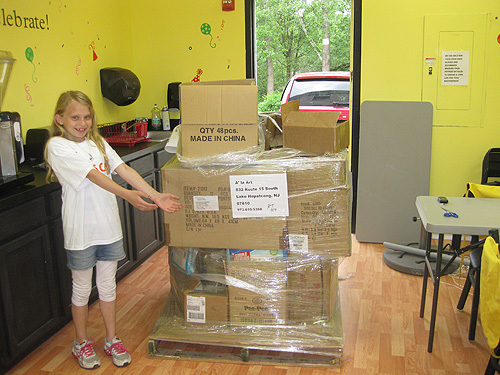 She worked extremely hard and did a great job collecting a large variety of supplies. 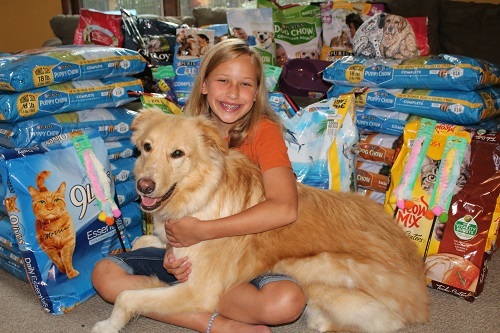 Fiona Schicho and a truckload of donated pet supplies! Hayley Singer with Cassie and Debbie of O.S.C.A.R. and a car full of donated pet supplies! Haley Singer and her family did a great job helping O.S.C.A.R. is multiple ways. They first did a fund raiser at Haley's mothers business A' La Art in Lake Hopatcong, NJ. They presented O.S.C.A.R. with a generous check to help future animals. The Singer family was not done there. They went on to get a pallet of supplies donated to O.S.C.A.R. Everything from supplements to dog toys. 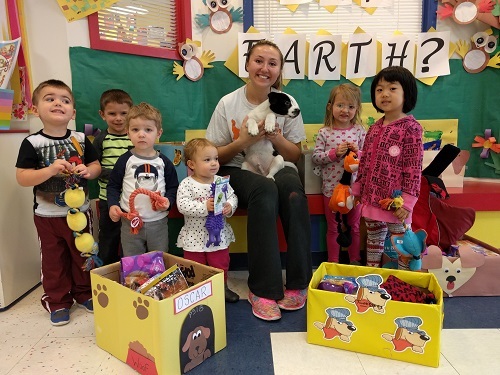 Haley made some dogs very happy and did a great job using every connection she had to help the animals O.S.C.A.R. rescues. Haley is an active volunteer and has helped O.S.C.A.R. with past supply collections. Thank you Singer family! 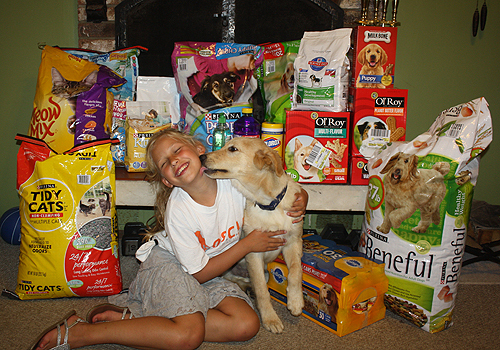 Cassie: "Here is a photo of a troup who did a supply drive for us. They did a great job. I went to their school and talked to all the girls and brought two dogs with me. They were all very nice girls and they were all so happy to help." Thank you, Fredon Daisy Troop, for all the supplies for O.S.C.A.R. dogs! 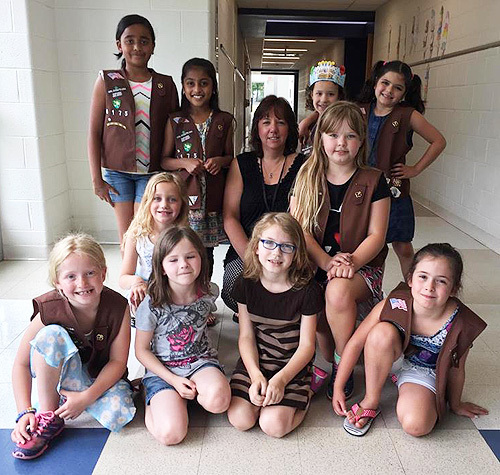 Elaine, Troop Leader:"Thank you very very much for coming all the way out to Fredon to speak with our Daisy Troop today. The girls LOVED the puppies. The girls all had a great time! I do hope that your visit raised awareness for O.S.C.A.R. and the need to support your efforts." SINCERE APPRECIATION to Kenze Merwin and her family! April 2012: The Merwin family (O.S.C.A.R. adopters) recently did a supply drive. They had a breakfast at their house, invited everyone, and asked for supplies for OSCAR. The collection was amazing and so appreciated! This is the second year they did this for us. Thank you to the Merwin family! 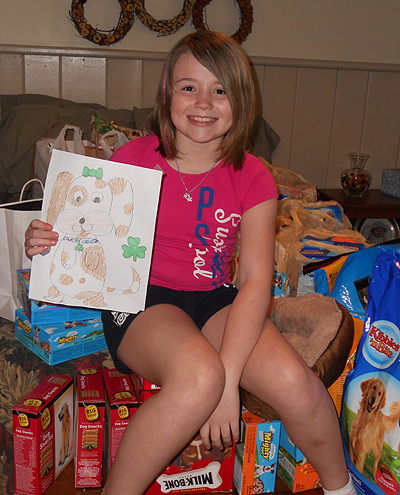 April 2012: Kenze Merwin with the supplies she and her family collected for O.S.C.A.R. SPECIAL THANKS to our friends at Sparta's Alpine School! February 2012: Students at Alpine School in Sparta, led by Sophie Venus, collected over a car full of supplies for us. This is our biggest supply drive to date. O.S.C.A.R. is pleased to recognize their huge effort to help support our organization. Haley Singer, Alyssa Stouch, and Julia Loewen! This website and its content is Copyright © of One Step Closer Animal Rescue (O.S.C.A.R.) 2012.